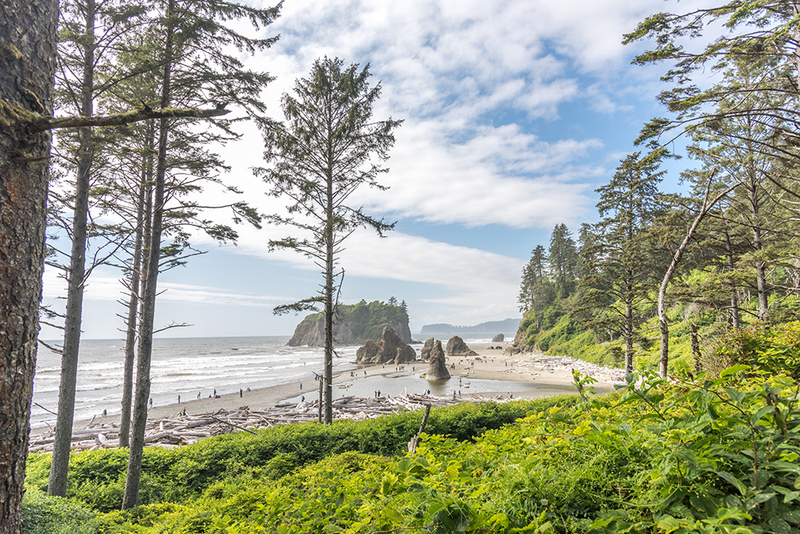 Driving up the Washington coast proved to be a much quieter experience than driving up the Oregon coast. There were quite simply fewer places to stop and less people, which was really nice. 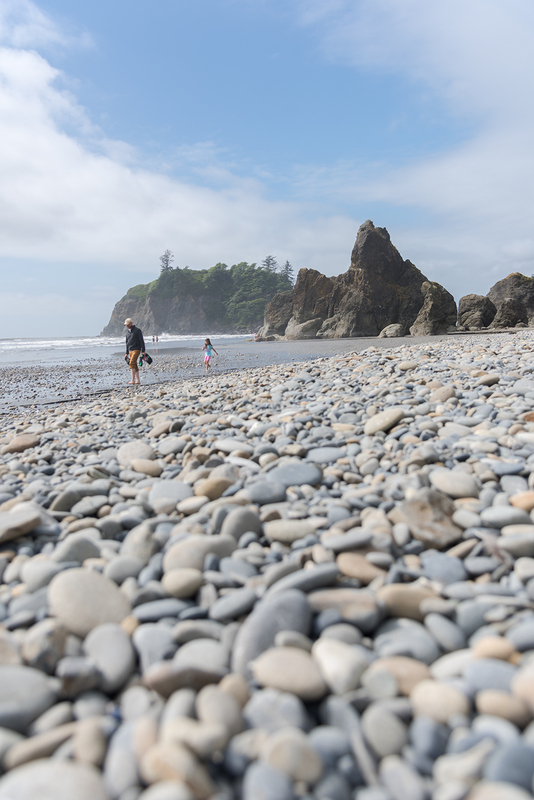 We had heard Ruby Beach was a must-see, and we were eager to park the RV and stretch our legs. The parking lot is above the beach, and looking down we assumed it was a strenuous hike, but really it was easy and we were down in no time. Brian and W got right to wading along the shore. They eventually made it down to the large rocks and even found an arch. 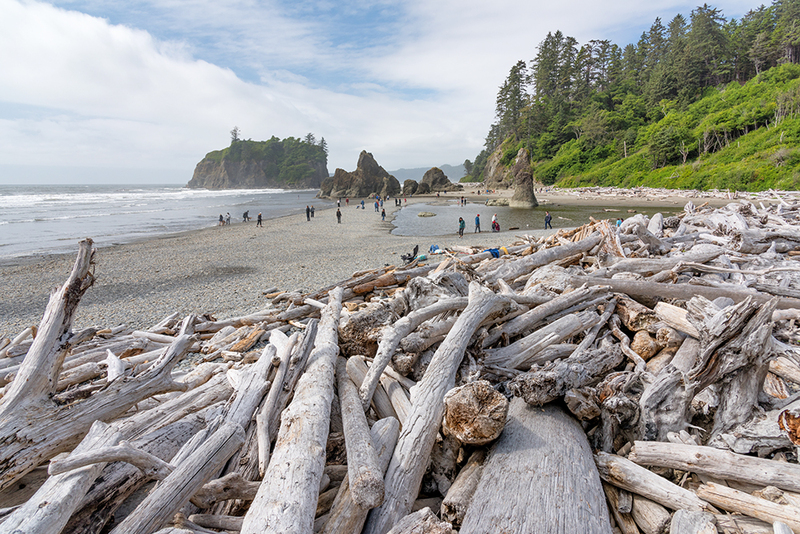 My favorite part, however, was the huge collection of driftwood piled against the shore. Though I did eventually look down and was entranced by the beautiful variety of stones that make up the beach.